Miami Cordage is an ISO-certified manufacturer of fiber rope specializing in Nylon Double Braid, Polyester Double Braid, Nylon 3-strand Twist, Polyester 3-strand Twist, Nylon 3-strand Heat Set, Nylon 8-strand Braid, Nylon 12-strand Plait, Polyester 12-strand Plait and a distributor of Rigging Hardware, Stainless Steel Chain, Stainless Steel Hardware, Manila Rope, Dyneema® Rope, Polypropylene Rope, Polydac Rope, Cotton Rope, Mooring Lines, Twine and Shock Cord. We also specialize in custom docklines, anchor lines, anchor rodes, tow bridles and slings. Miami Cordage is both a manufacturer & distributor of a wide selection of rope, including yacht braid, 3-strand twist, 8 & 12-strand rope, dock & anchor lines, mooring lines, Dyneema® SK-75 fiber rope & a full line of exercise ropes. We specialize in custom fabrications from tow bridles to overhead lifting assemblies to art installations, our experienced sales staff is ready to assist in designing your project. Due to the nature of custom work, many of the projects we work on are not featured on our website but please don't hesitate to inquire, chances are, we can make it. 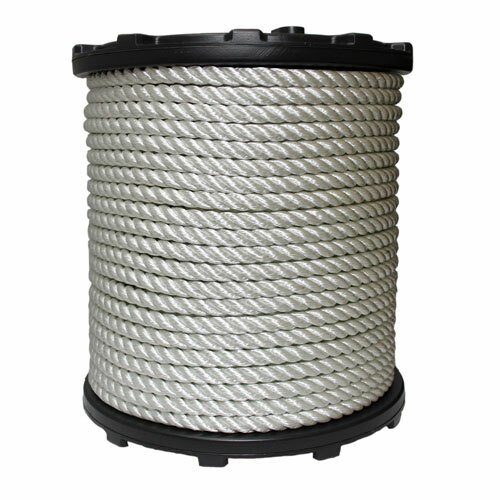 Established in 1960, Miami Cordage/Florida Wire & Rigging Works is a family owned and operated manufacturer and distributor of fiber and wire rope, custom lifting and boating assemblies, rigging supplies and hardware. We originally began as a distributor of marine and industrial supplies to the Southeastern U.S. and Caribbean Basin. Over the years as both our business and market expanded, we began manufacturing fiber rope and acquired Florida Wire & Rigging Works. 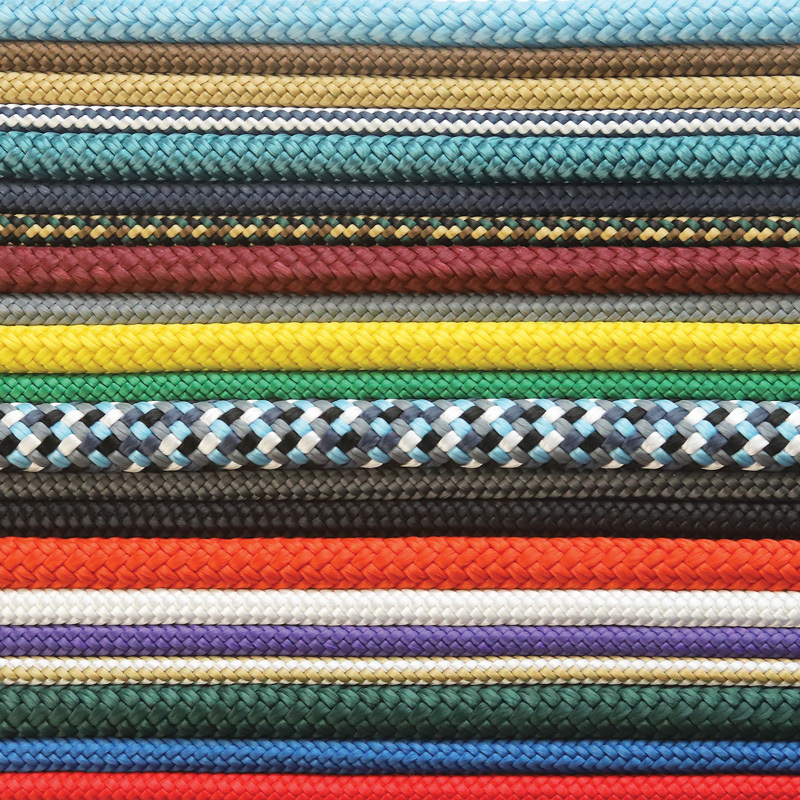 Today, our manufacturing capabilities continue to grow and we are now the only fiber rope manufacturer in the U.S. that creates custom-color double braid and 12-strand rope. In addition, relatively new to our product line is Dyneema SK-75 fiber rope and a 3-strand nylon rope with a specialty coating designed specifically for use with windlasses. Based in Miami, Fl, our state of the art manufacturing plant and distribution center's close proximity to the Port of Miami makes our company ideal for shipping products and containers throughout the Caribbean Basin, Central America and South America. We manufacture nylon and polyester double braid, 3-strand twist, 12-strand euro braid and Dyneema SK-75 fiber ropes. Our products are manufactured to the Cordage Institute standards and we proudly sell to the U.S. Government, U.S. Coast Guard and naval fleets throughout the world. We also hand craft dock lines, anchor lines, mooring lines, fender lines and tow bridles. Wire rope rigging and chain assemblies are also an area that we specialize in, our bi-lingual sales staff is always ready to assist you in building your custom assembly.